A few weeks back my good friend John, WA2KSM offered me the use of a true oldie goldie! 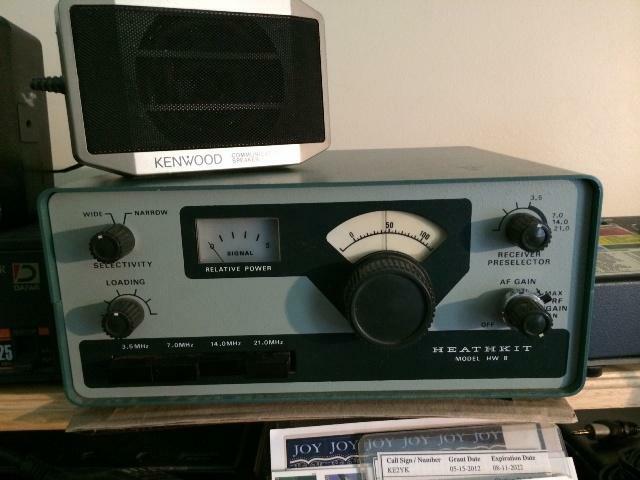 This old Heathkit HW8 CW QRP rig was so clean inside and out that it was hard to believe its age. No scratches or dings anywhere! As you might imagine, the band control push buttons need cleaning but that’s about all the TLC it needs. Not having a way to cleanly match this little gem to my G5RV, I purchased the “World’s Smallest Standalone ATU” from Elecraft. 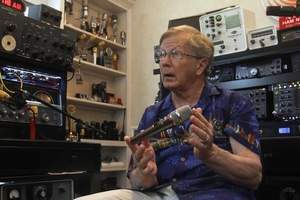 Since I have owned Elecraft gear in the past and now get great pleasure from my KX3, I had no doubt that the T1 would be the right choice for the HW8. 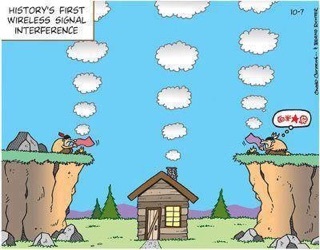 My assumptions were right. Tuning is a breeze and performance is all I’d expect from Elecraft. 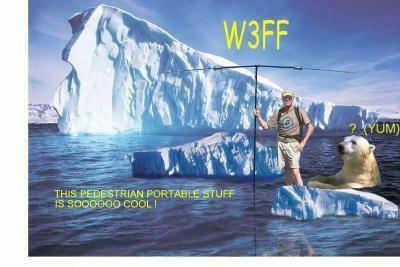 The 20 meter band has been weak over the summer but I have already made a few contacts on this beautiful old QRP rig. Since I have the original manual, some of this winter will be dedicated to going over the entire alignment procedure. 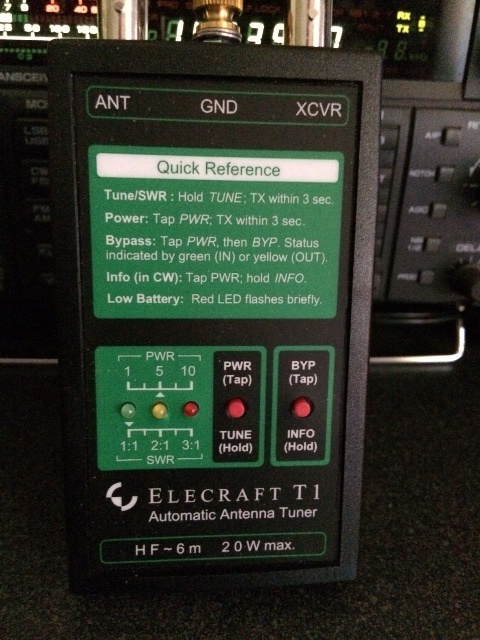 If you are into QRP or low power operation and are in need of a portable Auto Tuner, take a spin over to the Elecraft T1 site for all the specs!